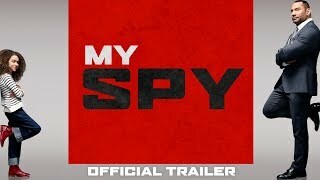 MY SPY follows JJ a hardened CIA operative (Dave Bautista) who has been demoted and finds himself at the mercy of a precocious 9-year-old girl, named Sophie (Chloe Coleman) where he has been sent undercover begrudgingly to surveil her family. When Sophie discovers hidden cameras in her apartment, she uses her tech savviness to locate where the surveillance operation is set. In exchange for not blowing JJ’s cover Sophie convinces him to spend time with her and teach her to be a spy. Despite his reluctance JJ finds he is no match for Sophie’s disarming charm and wit.